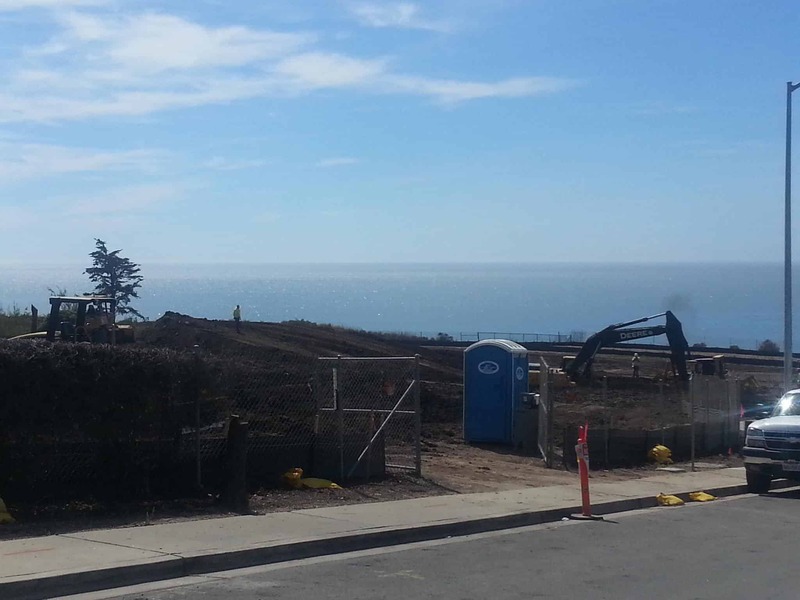 This is one of two new developments being built in the Shell Beach area as of December 2015. 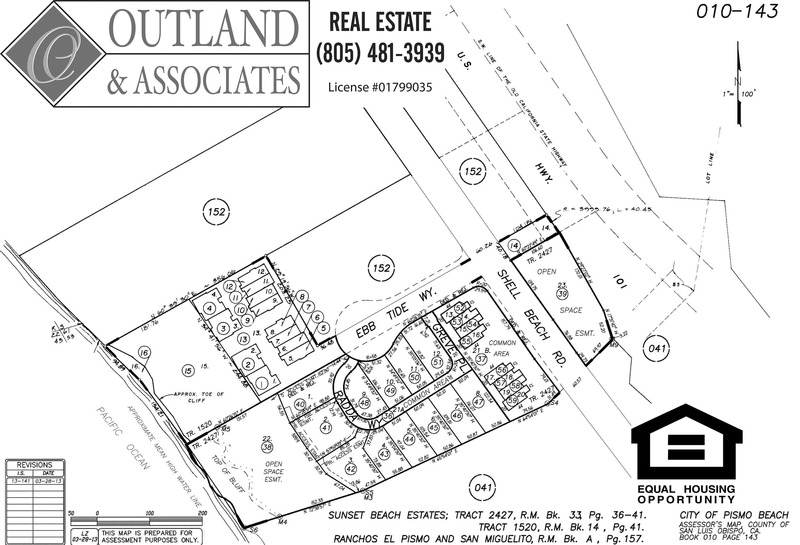 This development however is the only one located West of Highway 101. The other new development is Costa Azure being built out by Coastal Community Builders; please see the links section below for additional information for each. Both new development projects are in the breaking ground stages and will soon have structures built. 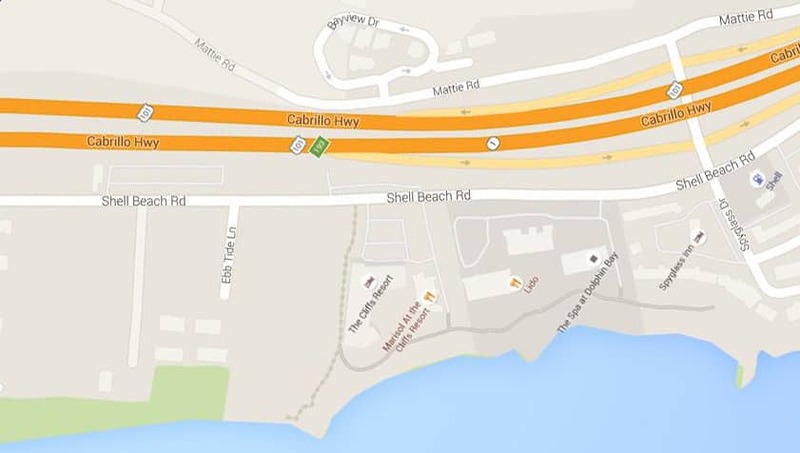 The Sunset Beach Estates Shell Beach California is located on the corner of Shell Beach Road and Ebb Tide Lane. The parcel is about 4.5 acres and looks to feature 12 new single family residential lots, eight condominiums lots, a 30,000 sq. ft. park, and around 200 feet of ocean frontage. Sunset Beach Estates LLC is the builder. I’m excited to see what great new homes and condos will be built out. Below is the plat map that will help you gain an idea of the placement of the homes in relation to our beautiful coastline. The weather in the Pismo Beach, Ca Central Coast makes this a great retreat from the high inland temperatures, see Weather.com and click the monthly tab to see current monthly and historical temperature ranges on the page. 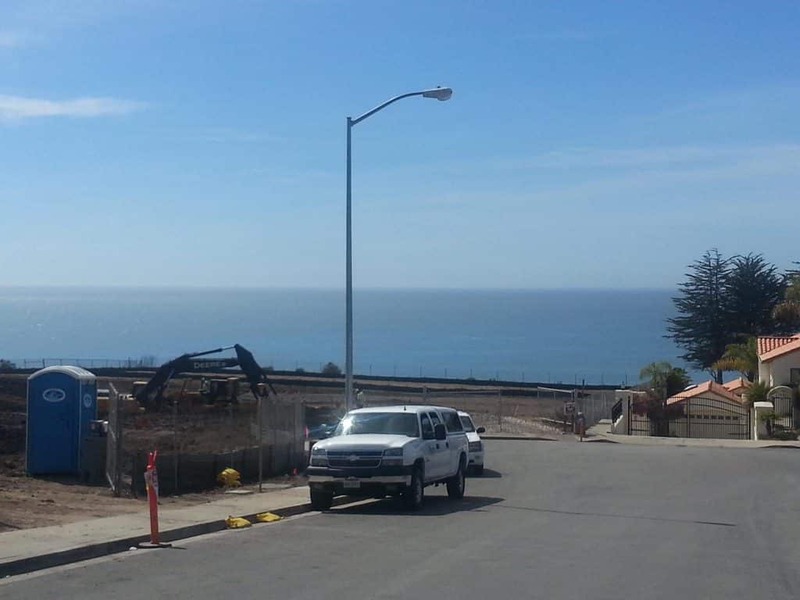 The new roads and streets in the development are Radda Way and Greve Place Pismo Beach, Ca. Earthwork is still being done so you can’ t access these streets. The area has great walking/biking trails with the Palisades Bluff Walkway and the Bob Jones Bike Trail conveniently located. If you have not spent any time enjoying our beautiful Central Coast trails, please try to set time aside on your next trip. If you like hiking please check out http://www.hikespeak.com/central-coast/, this is a site I have used for hikes to know the difficulty, views, and if they allow for pets. I do want to see the floor plans, design styles, and amenities these homes have to offer when they get built. I would also like to see what ones will offer wonderful Pacific Ocean views and what price point they will be offering them at. If you are moving to the Central Coast contact me so I can share with you all the latest new construction in the area and the homes being offered on the MLS for sale. I want you to know all about the homes currently available so we can find you the right home for your needs. The Shell Beach Real Estate market is a wonderful little community located in the Northern area of the city of Pismo Beach, Ca 93449. If you are looking for Driving Directions to the property please try using the address 2770 Shell Beach Road Pismo Beach, Ca 93449 ( San Luis Obispo County, Central Coast) Google currently doesn’t show the new roads as of December 2015. If you don’t find what you’re looking for please try this link or email, text, call, post below. Shell Beach Real Estate Market Update. Information is deemed reliable but subject to change as developments get built. – Created Dec. 2015, Update June 17th, 2016. Interested in the sunset beach development . What questions can I help answer? We are interested in Sunset Beach Estates. Please provide us with more details, construction timeline, home and condominium size and pricing. So will ebb tide park connect to the open space and will the open space connect to the coastal access? Are there any renderings that show how the bluff parks all connect up?